You have a medicine in one hand and in front of you is your dog wagging tail. You probably asked the vet how to give it to them, but its your first time and you are worried, maybe scared. No need to worry. 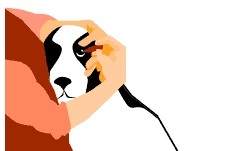 Today I’ll write about how to give your dog medicine, not just pills but eye drops etc. In no time you’ll able to give the medicine your dog needs. First of all, do not mix dry dog feed and medicine together. 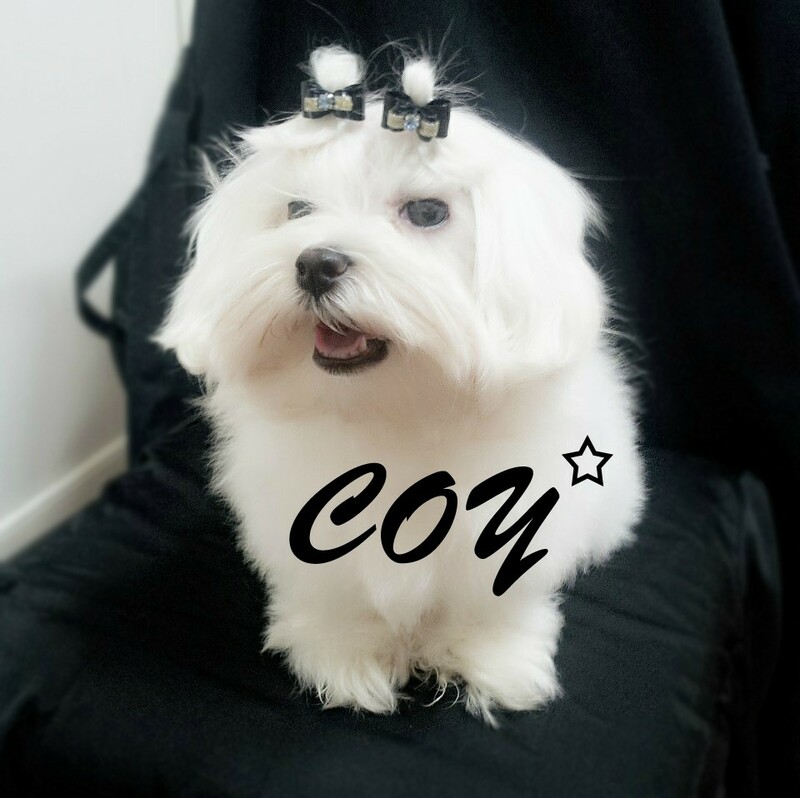 Your dog might be too sick to it all of it or your dog might notice something is wrong and refuse the food all together, not enough nutrition is important to unhealthy dog. Some smart dog will only eat the dry food and leave out the pills inside the bowl. Best way is to feed your dog medicine after they finished eating and use snacks. If you are scared try practicing the way the pictures shows with round snacks. You could master it and your dog will less likely to put up a fight. 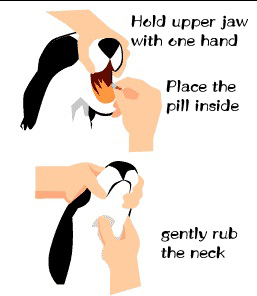 Now when you finally decided to give your dog the pill lift upper jaw while using your finger to hold the lips so it would go under the upper teeth. Next put in the pill at the back of the tongue. Now close the lower jaw and hold it with your hand that held the upper jaw and use the free hand to gently rub down the throat. 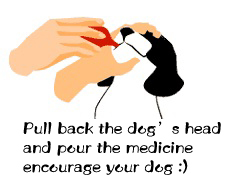 Liquid medicine is not hard you gently push the lid towards the back of the tongue and gently pet your dog and encourage to calm your dog down. 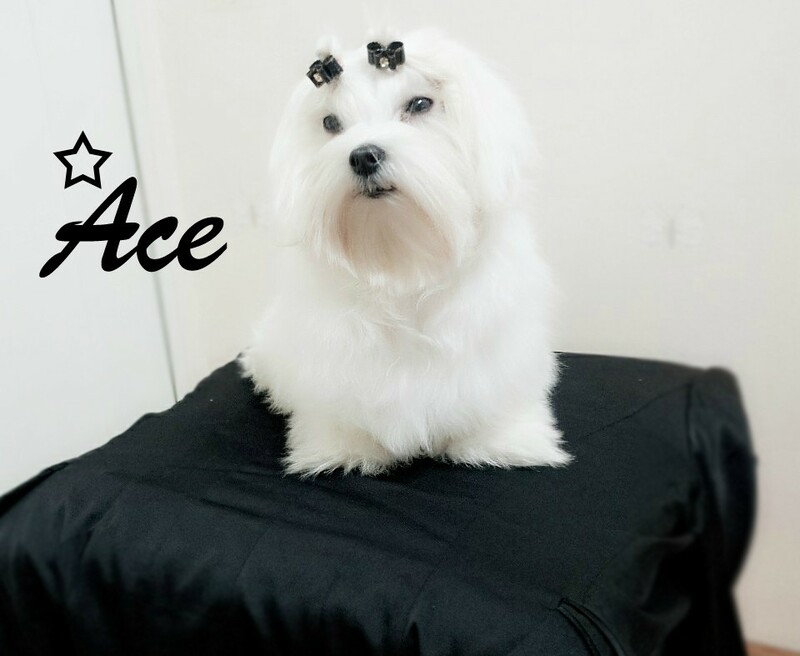 Applying cream medicine is not difficult but because of your dog’s instinct he will lick off the medicine making your work useless. Now for this to work you must apply the medicine right before you take your dog out for a walk. Your dog will be too occupied to lick off the medicine. Of course you could always cover it with a band (vet can provide you with this). Inside the ear when you see it you will see one big hole bigger than any other, That’s where you’ll let the ear medicine drop and leak inside the hole. Now close the ear and rub gently and the medicine will soak in. Even if your dog shakes his head don’t worry the medicine is too deep to leak out. REMEMBER DO NOT PUT ANYTHING INSIDE THE EAR WITHOUT VET’S PRESCRIPTION. Hold the head towards your chest like the picture and make sure your dog can’t move. Use your left hand to open the upper lid of the eye and lower lid of the eye. So it’s wide open. Now let a drop of the medicine or how many you were told to. Please be careful not to hurt the eye. After you drop the medicine close and open your dog’s eye so it will not leak out.